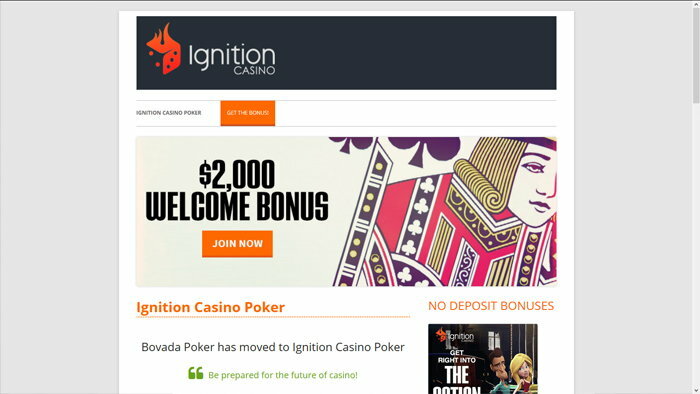 Ignition Casino is part of a larger group of similar gaming sites, big brands that have become very well known over the last couple of years. It’s a sister site for the likes of Bovada, Slots.lv, Downtown Bingo or Café Casino, some of those being quite popular. The casino is open to US players, which is one big reason to like them already, and they have the Bitcoin currency as an option for their customers, which is another one. This casino has been around only since 2016 and it operates through a Kahnawake gaming license, which is considered an excellent option these days. The site loads up quickly, showing off a modern design that’s mostly based on orange and shades of gray, which work very well together. The big focus is on the promotions and the games they offer but check out the Menu button next to the logo, to open up a list of additional options and information. That’s where you also have the option to change the language, from English to Spanish or Chinese, the only three available. It’s not as inclusive of other countries as some of the other casinos, but English should cover most people easily. With RTG as the main supplier of content, there will not be a huge variety when it comes to games, but there are still about 200 titles available, so you’re not going to get bored. Speaking of variety, over 110 slot machines will be there to choose from and that’s where you should head to if you want to be entertained. 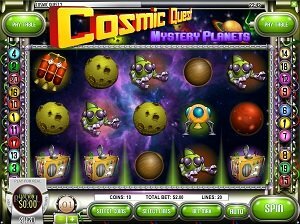 The other types of games will give you a little bit of everything, so for example you can visit the Table Games section and you will find 19 titles there. You can give Vegas Three Card Rummy a chance, you could try out a game of Blackjack, a spin at several types of roulette or even a game of dice. The Blackjack option is also available in its own category, with 9 versions to choose from. Whether you want a classic version, single or double deck, or something like European or Zappit Blackjack, check out this category if this type of game is a favorite of yours. There is even more variety for players that enjoy Video Poker, and I’ve counted a total of 17 options there. Specialty Games are also present in their own section, sporting multiple variants of Bingo, Keno, Sudoku and scratch cards. The casino has a Poker section as well, where you can play against real players by downloading the Ignition Poker software. That part of the site is separate from the main one. 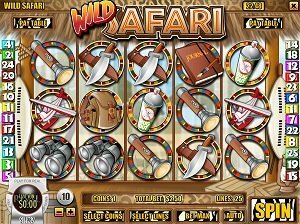 If you look at the welcome bonuses that are available, you will understand how the casino got popular so fast. They’re friendly with high rollers, and they give you up to $2,000 in bonuses, though at a 100% match so you need to make a serious investment yourself. 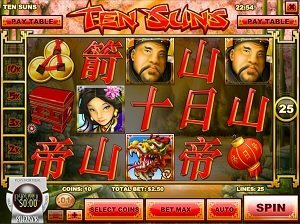 The requirement is to wager the total amount (bonus and deposit) 25 times before withdrawals can be made. Ignition Rewards will allow you to collect Ignition Miles as you play at the casino, and later on you will be able to exchange them or to turn them into cash. You even get cash back on your losses. You have the Tier Miles on one hand, which let you advance in the loyalty ranks, while the Ignition Miles give you cash bonuses. At the highest level, which is the Diamond tier, you get $1 in exchange for 1,000 miles, plus 15% cashback bonus. The lowest level, that you start at, has a 6% cashback and 2,500 miles for $1, so it definitely pays to be loyal and go up in rank. If you’re playing Slots, then you get 5 Ignition Miles for every $1 that you wager. Video Poker and Table Games give you 1 Ignition Mile, while Specialty Games give you 15 per dollar wagered. Since the casino is open to US players, there aren’t that many payment options available. The classic option, if you prefer using regular currency, is going to be the credit card. For deposits, the Visa Gift Card may also be used. Ideally, you should go with the Bitcoin option though, which is offered and promoted on the site. Fees of 5.9% are present for Visa and Mastercard, while those using Amex will lose 9.9%. On the other hand, Bitcoin deposits and withdrawals are 100% free. Withdrawals can be made via Bitcoin (100% free), check by courier ($100 for each withdrawal), Visa Fast Funds ($25) and Debit Card ($25). Only one non-BTC withdrawal is allowed per 90 days, a huge downside for anyone that doesn’t like the Bitcoin option. If you’re looking for a US friendly casino that has Bitcoin as a preferred option, this one is one of your better bets. Their collection of games is not huge, but the RTG titles are high-quality and the company still releases new slots on a regular basis.